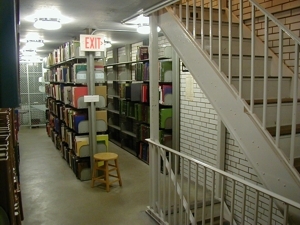 1A West Stacks: 1A West contains books and print journals in T-TX call number range. 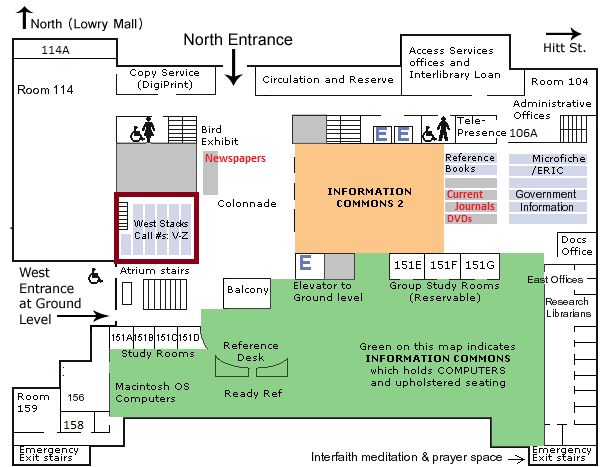 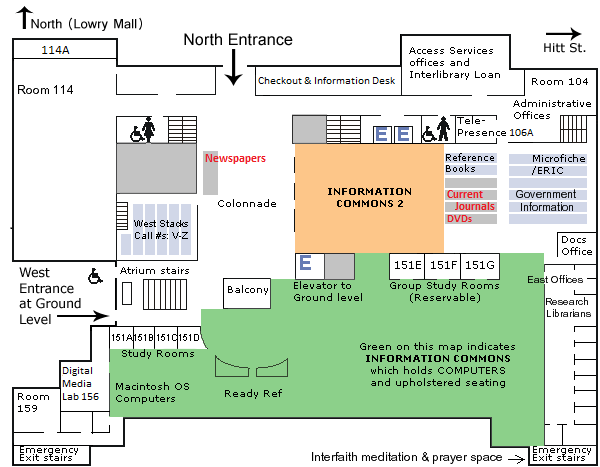 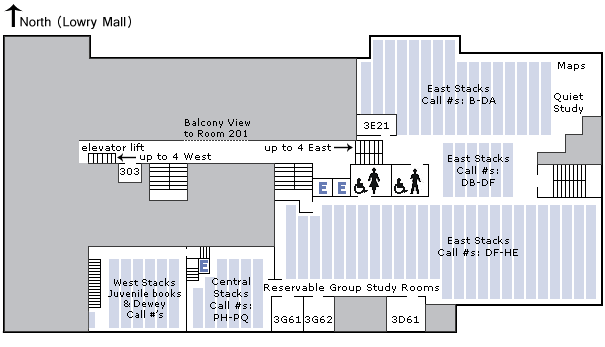 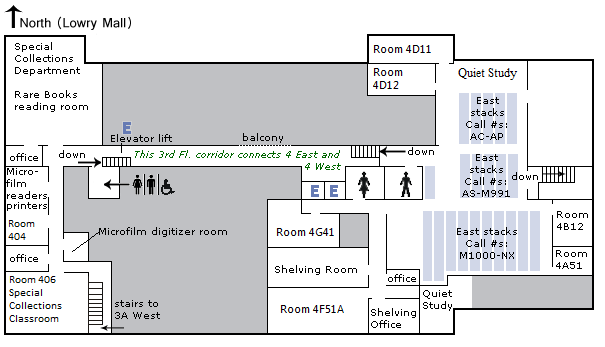 Open and reserved study carrels are available. 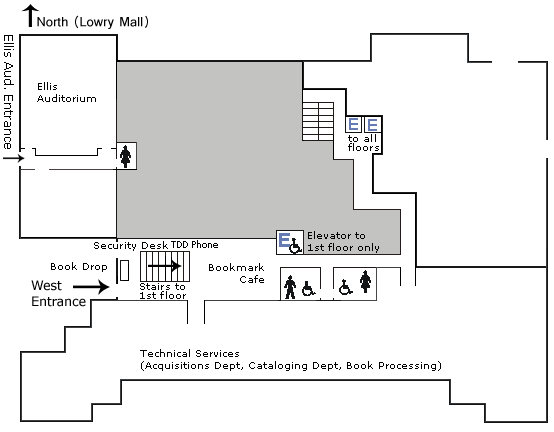 Contact Ellis Library Administrative Offices in 104 Ellis or at 573-882-4701.